Let us show you how to transform your outdoor space into a peaceful oasis of pure relaxation! 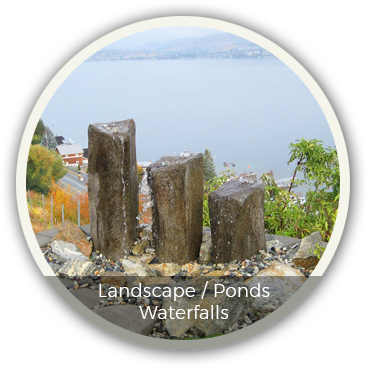 Call us today for a complimentary site visit or come see the displays of ponds, waterfalls, pools, landscaping ideas and outdoor furniture at our OUTDOOR LIVING CENTER at 924 E Woodin Ave in Chelan. Water gardening is an easier and more natural approach to traditional landscaping. The tranquil sound of cascading water will create your own personal oasis right in your own backyard. We can custom design a pond, waterfall or a combination of the two that will have enjoying your backyard hour after hour. 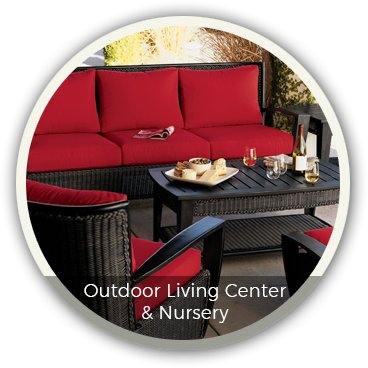 Expand your living area outside, with a little help from our Outdoor Living Center. We live in one of the most beautiful areas of the country, why not make the most of the natural backdrop and add on to your living space at the same time? Making your living area flow from indoors to outdoors makes the most of your home. 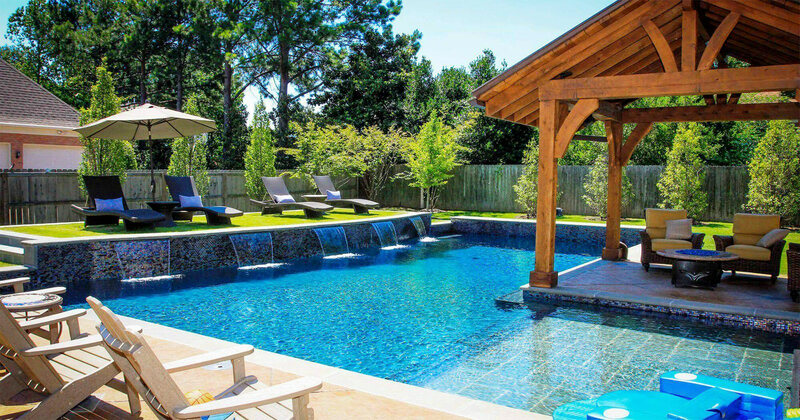 Ever dream about having a swimming pool in your backyard? We can make that a reality. Palazzo Ponds and Waterfalls also installs swimming pools for many of our clients. There is very little that compares to sitting around the pool on a warm summer day. 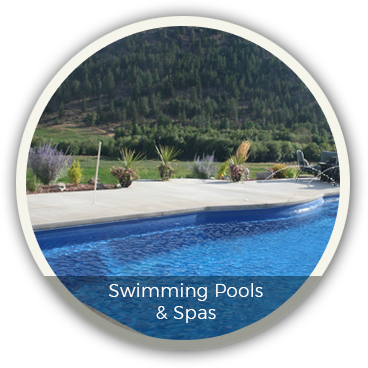 Call us and let us show you have affordable a pool can be.